Diplomats have agreed a four-month extension to the deadline for an agreement between Iran and world powers on Iran’s nuclear programme.The US says it will unblock $2.8bn in frozen Iranian funds, in return for Iran continuing to convert its stocks of 20%-enriched uranium into fuel. The talks have aimed to persuade Iran to limit its nuclear programme in exchange for the lifting of sanctions. World powers suspect Iran seeks atomic weapons, which Iran denies. Reuters reports that negotiations will now resume in September, with a final deadline set for 24 November. 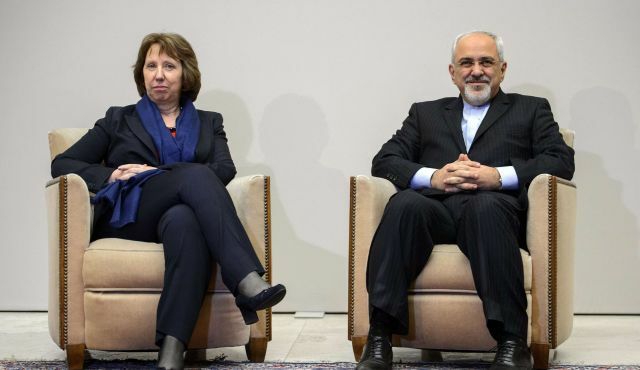 “There are still significant gaps on some core issues which will require more time and effort,” said a joint statement issued by EU foreign policy chief Catherine Ashton and Iran’s Foreign Minister Mohammad Javad Zarif. Though talks have now been extended, let’s not forget that the two sides have failed to reach a much anticipated deal. The extension of talks is good news and bad. It is a sign that diplomacy could still work but opponents now have the chance to score in extra time. Some US Congress members claim Tehran is buying time to aid the Iranian economy, already choking under the pressure of sanctions. And hardliners in Iran are becoming more vocal against the deal over fears it could mean better ties with the US. The odds against the deal are already high and both sides could use the next four months to derail any comprehensive agreement. US Secretary of State John Kerry said the US would “continue to vigorously enforce the sanctions that remain in place” on Iran, during the extended period of talks. But the US said it would allow Iran to access $2.8bn in funds that had been frozen after Iran agreed to continue converting its 20%-enriched uranium stocks during the four-month extension. The 20%-enriched uranium is a medium level of purity and experts say once it reaches that level it could be enriched to weapons-grade, or 90% purity, in a relatively short time. The talks in Vienna bring together Iran and the so-called P5+1 group, comprising the US, UK, France, China, Russia and Germany. An interim deal between the two sides was reached last year. However, the parties have been unable to reach agreement on imposing long-term restrictions over Iran’s uranium enrichment and plutonium production – processes that could yield material for nuclear warheads.